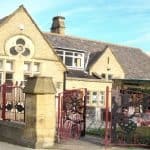 Undercliffe Lane Community and Children’s Centre was first set up in 2003 by local people of St Augustine’s Church and nearby residents. Local people felt strongly that there was nothing for them in their community and they wanted this to change. They are now a thriving community project which incorporates a Children’s Centre that has a wide range of activities including a nursery and opportunities for children and adults across the age range. 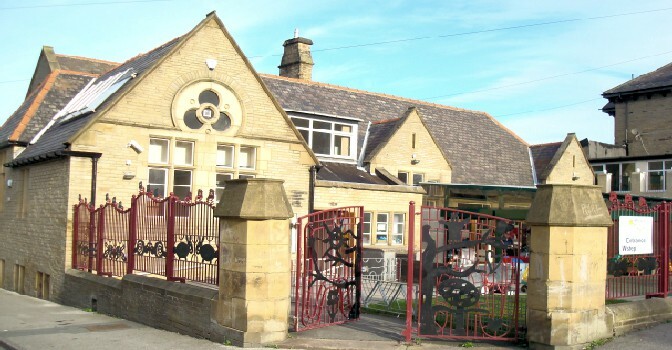 Undercliffe Lane Community works and Children’s Centre was due for a program of alterations and partial refurbishment during the summer break. Part of the works involved the installation of a lift facility and the provision of through access into a basement classroom. The existing access to the classroom consisted of a damp, untidy basement hallway which needed waterproofing to provide a safe, and dry environment. ‘Broad Ford’, later known as Bradford, was first settled in Saxon times and by the middle ages had become a small town centred on Kirkgate, Westgate and Ivegate. Alongside the architect and the contractor, Timberwise designed and installed a Type C (drained protection) waterproofing system with little preparation and the facility for the contractor to dry-line over the waterproofing system which reduced wet-trades in the schedule of works. 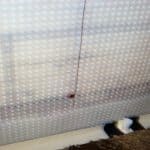 The cavity drain waterproofing system was installed quickly with little or no disruption to the program, therefore, the works were allowed to proceed unhindered. 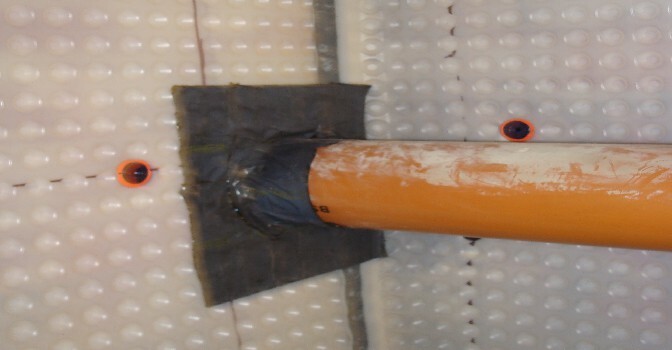 The cavity drain waterproofing system was designed to drain into adjacent large basement rooms which were at a lower level and had submersible sump pumps recessed in the floors. Attention to detail with designing waterproofing systems is critical – Timberwise technicians ensured that service penetrations through the waterproofing membrane were treated effectively and that fixing points did not create any problems for the contractor. 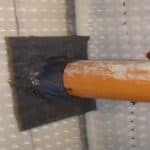 All joists were fully sealed using butyl tape and fixing points were sealed using gasket grommets to the underside of system fixing components. Under the Code of Practice which dictates waterproofing design (BS 8102:2009 – The code of practice for protection of below ground structures against water from the ground), it is critical to design and consider future maintenance into a waterproofing system. Timberwise designed into the specification and installed cleaning ports to allow future maintenance of the waterproofing system and if required inspection of the cavity drainage system at the Community Works Nursery & Children’s Centre. The system offers support alongside flexibility and working in conjunction with the Maintenance Manager, Timberwise carried out all works in the summer holidays as to minimise disturbance to the nursery. In need of a dry basement? 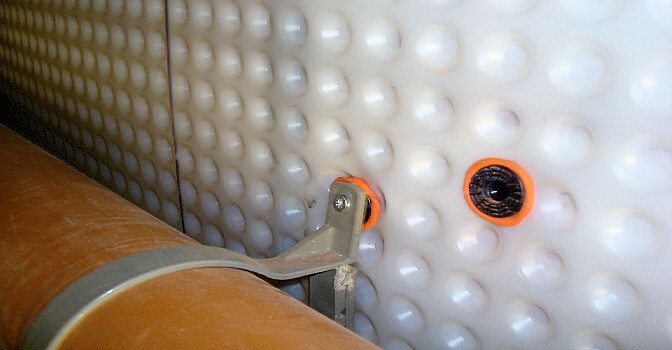 Over the years, Timberwise has worked on a large number of waterproofing projects of all sizes. From small Victorian cellars to larger commercial waterproofing projects, we have a waterproofing solution to suit all different needs. 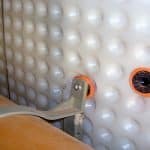 If you are looking to waterproof your basement area and turn it into extra dry space, the first thing you need to do is have a survey of the basement carried out by a basement waterproofing professional. 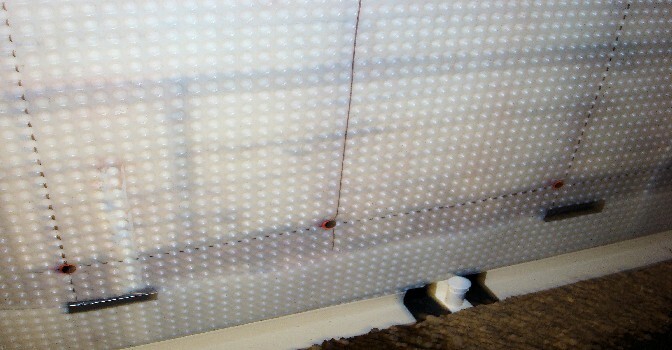 Following on from the basement survey, the best form of waterproofing system for the basement will be determined. To arrange a survey of your basement or cellar contact Timberwise on 0800 288 8660 or arrange a survey on-line.